Featuring new aerodynamic lines, a redeveloped suspension, increased power and new driving dynamics, the Lamborghini Aventador S has been created to set a new benchmark for super sports. cars. The S features a number of exterior enhancements that include a more aggressive nose, longer front splitter, a black diffuser at the other end, available in carbon fiber upon request, and rear wheel arches that are reminiscent of the Countach. The 6.5-litre V12 now kicks out 730bhp – up from the ‘regular’ Aventador’s 691bhp. The redline has been shifted up to 8,500rpm for good measure, and whereso delivered to all four wheels through that seven-speed gearbox, will kick the Lambo from 0-62mph in 2.9s and onto a top speed of 217mph. Lambo has added four-wheel steering, a first on a series production Lamborghini. The system is said to provide improved agility at low and medium speeds and increased stability at high speed. The new tyres come courtesy of Pirelli (P Zeros), while you get carbon ceramic brakes as standard (400mm up front, 380mm at the back). Aventador fans will no doubt spot the new nose and bigger front splitter, two new air ducts in the front bumper, a new black rear diffuser with fins, and the three single exit exhausts tips. 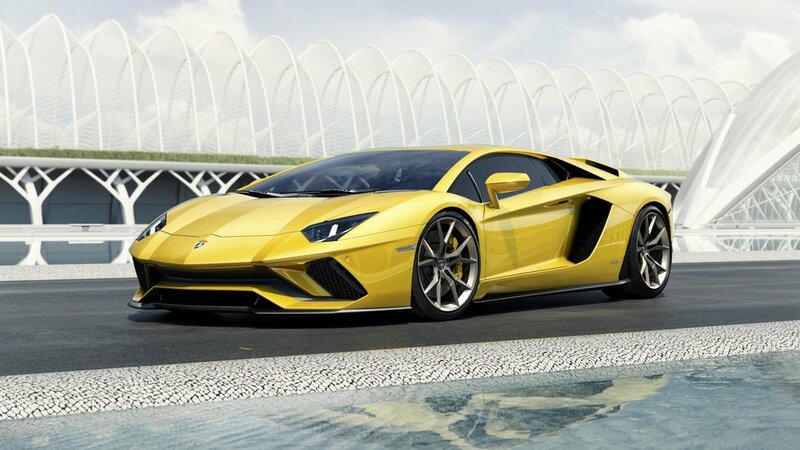 The Lamborghini Aventador S will be available from spring 2017 at a starting suggested retail price of US $421,350.